While checking the regrowth after an autumn burn in the Yarck Flora Reserve at Terrip Terrip I found this beautiful thing. I got all excited about how this “controlled burn” must have stimulated these sun orchids into flowering until I looked at the opposite side of the road which hadn’t been burnt and found six more! Could the proximity to smoke and fire triggered this event ? I’ve never observed sun orchids as tall and intensely colourful as these before in the Strathbogie Ranges. 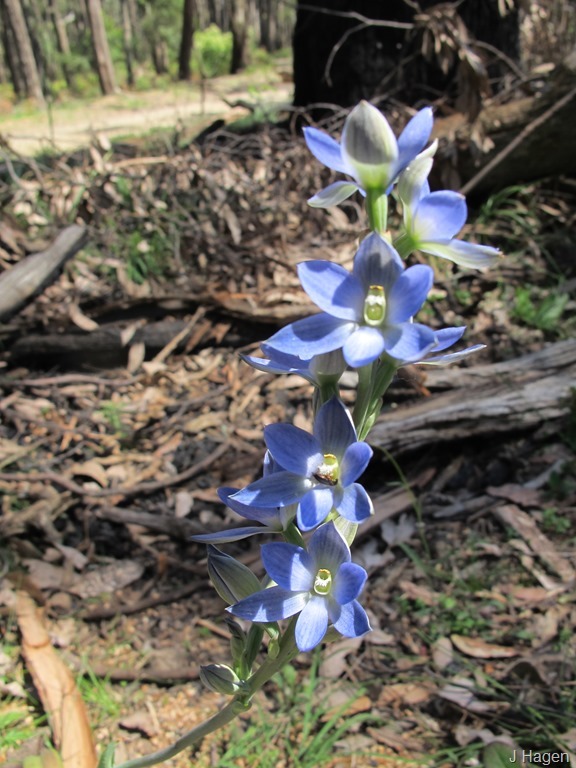 Raced home, fairly confident that I could identify them from the photos I had taken but as I browsed through my native orchid book I was confronted with about 40 species of tall blue sun orchids to choose from and quickly became confused. 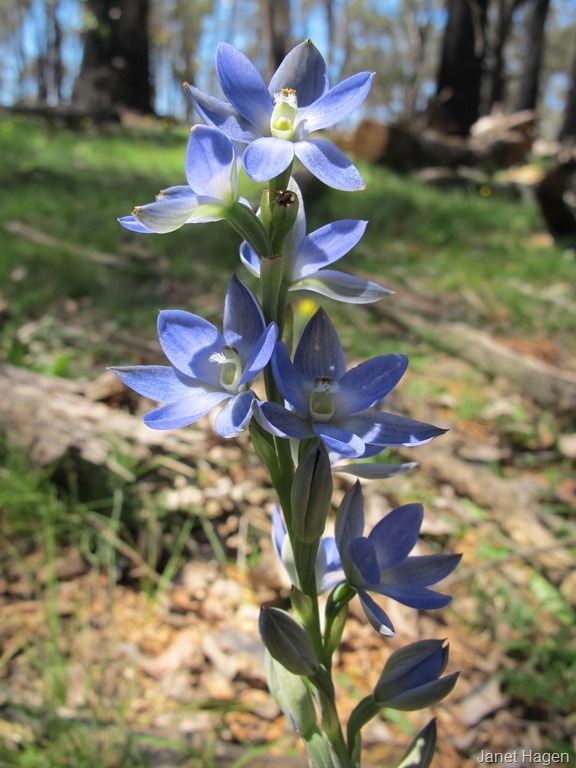 My guess is the Great Sun Orchid. 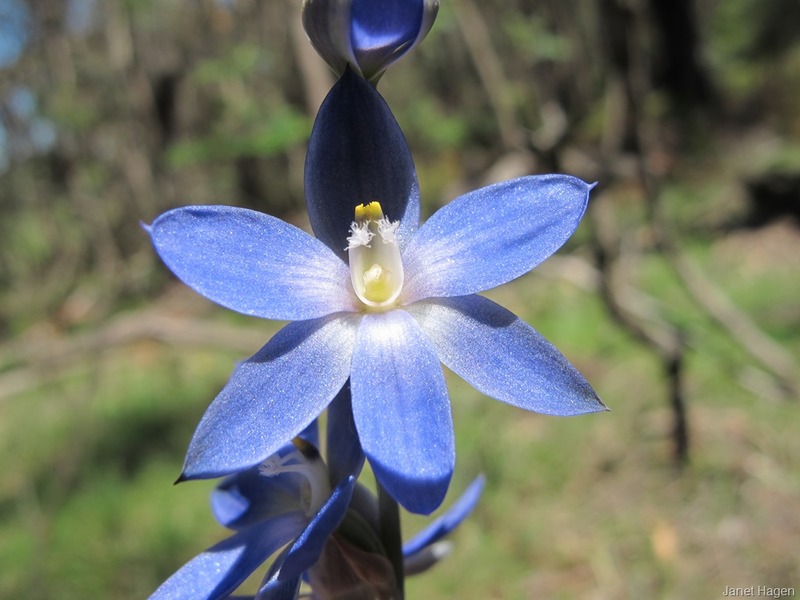 Thelymitra aristata. Oh Janet these Sun orchids are stunning, thanks for sharing. I have found 8 different orchids this year, so thrilled. I don’t know that species, but check out Colin and Mischa’s photos.